Any idea what settings to correct these print issues? Posted February 9, 2016 · Any idea what settings to correct these print issues? I'm having some print issues with a new filament I'm using... wyz filament. The printer seems to print everything fine, but this just has all kinds of abnormalities sticking out. I tried to increase retraction, but that didn't help at all. Any help for someone too new to suss this out yet? 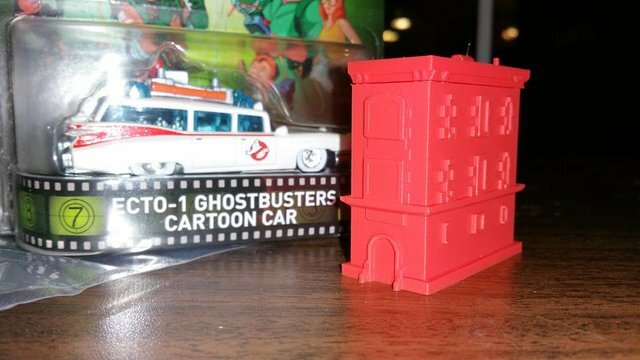 Photos from 3d prints looks always bad. In real life conditions we don't release this faults. You are printing little to hot. But you can serve your print settings then we can think better. Next time if possible take photos on daylight use white background. Anyway your print looks not so bad. Posted February 10, 2016 (edited) · Any idea what settings to correct these print issues? These are the quality prints I'm used to getting.. very clean with almost no cleanup at all. I know my printer can print better because it has been since I unboxed it a few weeks ago. Those green prints were also on slow mode at .09 mm layers.. those sould look just as clean as the firehouses and that head print in these other images. The quick temperature test print sows the best quality is actually at the highest tep for this filament.. 220. Lower temps show worst quality printing. Posted February 10, 2016 · Any idea what settings to correct these print issues? Lol @gareee I would contest your last statement, as written. As a general statement the best quality is achieved, in part, by using the lowest temp you can achieve for a specific filament/ speed/layer thickness. Of course if you go lower than the lowest temp. you will start to under-extrude. If you go to the highest temp. you will likely suffer corners that are not straight, blobs, both over-extruded, filament trails on retraction, to name a few. Yellowshark, I'm going solely by the quick temperature print printout. It looks best at the top, where the heat setting was the highest. I'd LOVE if there was some formula or workthrough method somewhere for someone new to be able to figure this out. Something else nice, might be a listing of what objects might be printed best at the different nozzle sizes. Obviously you want a balance between print speed and quality, but for someone again new, its just a crapshoot with no indicators at all of what the different nozzles are best used for. 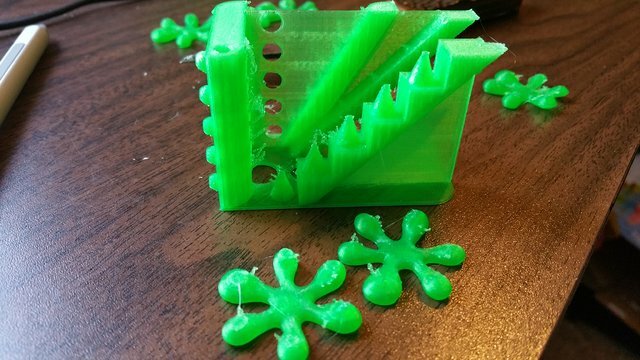 Trail and error isn't the most efficient method of learning, especially when even a small print with the .25 nozzle takes hours. Posted February 11, 2016 · Any idea what settings to correct these print issues? @gareee I do not know what the quick temp. print printout is so difficult to comment. Read the 3Dverkstan troubleshooting guide, you will learn a lot! You can advise people but you cannot say to someone "at this layer height, at this speed, use this temp", there are too many other variables that affect the optimum temp for you i.e your printer, the filament you are using (black PLA and red PLA can be different even if from the same manufacturer), the model, your environment, the type and/or size of nozzle . Sure you will get away with other temps, for arguments sake say +/- 15c but for optimum results you should use the optimum temp - only you can determine what is optimum for you. You establish that for every filament you have, by trial and error; ref. your last sentence I am afraid I disagree; it is the only realistic way. You can read all you want but unless you sit by your printer, watching the print and seeing what the slicer is doing (and your settings) you will find it difficult to learn. That is what you are doing now!! Call it experimentation if you like. That is why F1 drivers practice; you cannot say to a driver that is the racing line you should take. It depends on the chassis, the power characteristics, the balance of the car, the tyres and their condition, the weather, how the driver is feeling. They sort it out by trial and error. I like your point on nozzles - yes there should be something like that. To be fair experimenting with different nozzles is a pretty recent phenomena; go back two years and it was not that prevalent for most people. Good observation. I'm not really seeing a significantly better print quality moving from .4 to .25.. maybe its just because .4 is just printing so well? I was hoping to see more fine texture detail in a zbrush sculpt, but it could be because the print size was just 2x3".. 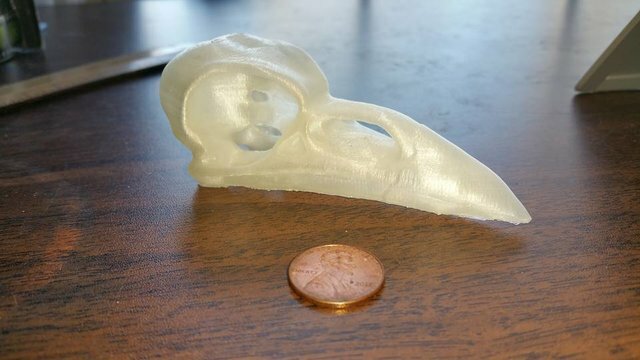 I might need to do a larger sized print for the details to become apparent. The support tech who assembled my ultimaker suggested faster print speeds on the clear green.. I'll try that once I get done tinkering with the finer nozzle tip. Posted May 11, 2016 · Any idea what settings to correct these print issues? I noticed that strings occur when filament is leaking out of the nozzle opening. And hairs occur when molten residu is accumulated on the nozzle tip, and is sagging and touching the print. Or when the previous layers are overextruded or curled up, and the side of the hot nozzle touches these raised parts. Most materials string more when hotter. So, as yellowshark says, I would suggest you try printing slower and cooler. 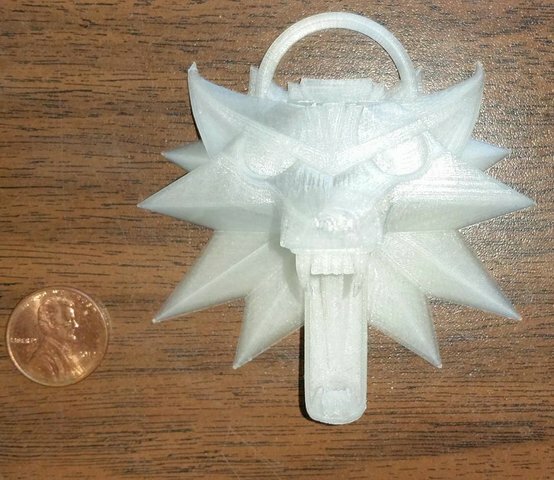 Print the same object once again just for testing, and keep watching it. Then play with temperature and speed settings. E.g. reduce temp in steps of 5°C, wait a few minutes and see what happens? I realise this is an older post, but it may help others in the future. Posted May 12, 2016 · Any idea what settings to correct these print issues? I found the issue after all this time a week or so ago. When purchasing filament, everyone said either 2.85 or 3.0 would work fine. What no one bothered to mention, is you need to make a manual change in the custom material settings panel on the printer itself to 2.85 mm if the diameter isn't 3.0 mm! Its a minor thing everyone probably takes for granted, but in several fb groups and forums like this, no one mentioned changing the diameter to 2.85 on the panel at all. When people said both sizes were acceptable, I thought nothing at all about making any changes to the diameter size on the printer.